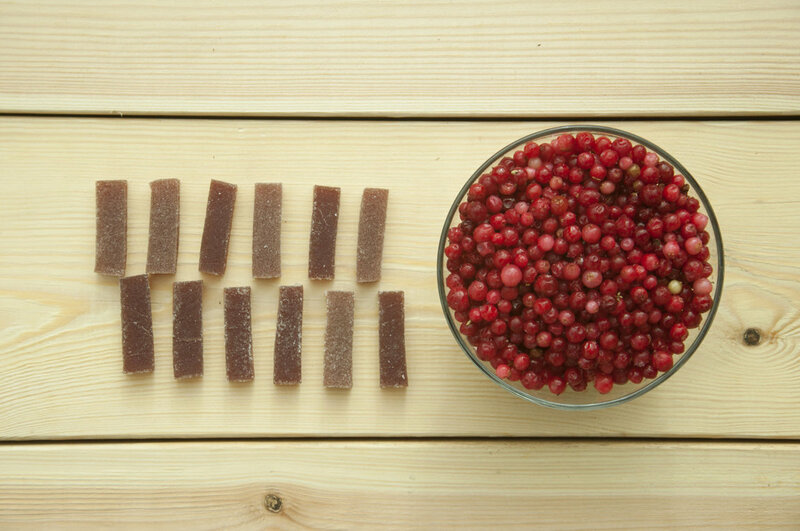 Juice candies "Konfelāde" are made from pure fruit and berry juice, no water, preservatives or dye-stuff added. There is fruit pectin used as thickener. Vegetarian and vegan friendly. Natural and extra tasty! We also have a special Christmas taste, Lemon and Sugar-free candies.